It's that time of year again when eggnog comes knocking on our doors and I, for one, think it is not drinkable without some booze in it. Eggnog without alcohol is just too sweet, too thick and no fun. 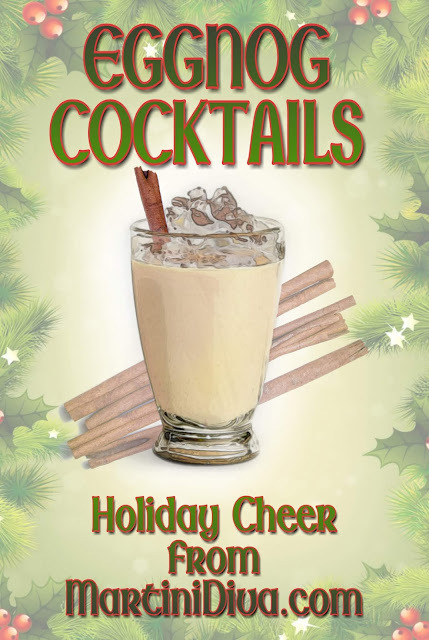 So below I have a few of my favorite ways to make this holiday tradition truly drinkable and way more fun. EGGNOG COCKTAILS CHOCOLATE BOURBON EGGNOG EGGNOG MARTINI MACCHIATO EGGNOG PUMPKIN EGGNOG MARTINI WHITE CHRISMTAS MARTINI December is National Eggnog Month, December 24th is National Eggnog Day.